Yesterday afternoon, I was out in my backyard patting Sheba - my neighbour's cat - when I noticed she was looking up at the roof. 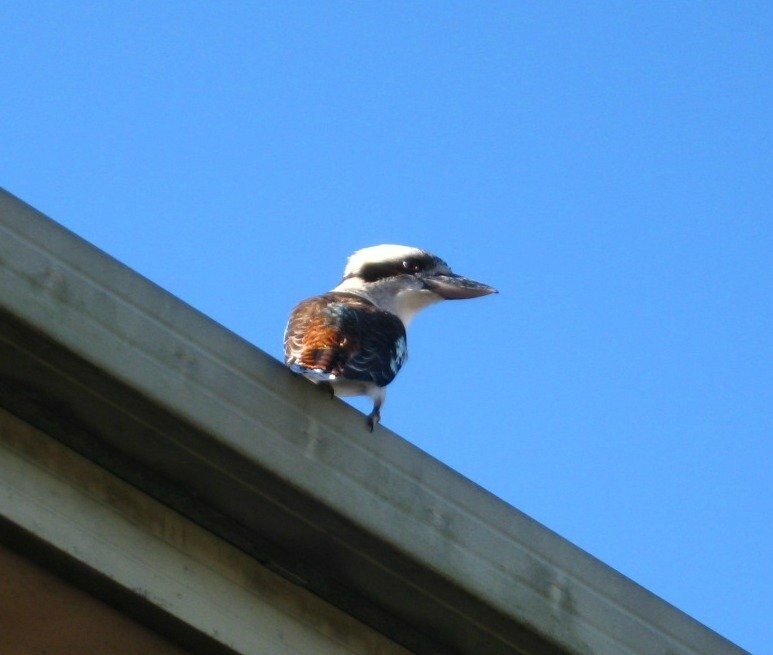 So, I looked up to find a Kookaburra watching over his Kingdom of the unit complexes. I took quite a few photos before he turned around and flew away.